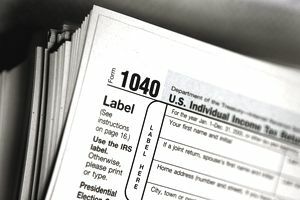 Book authors face some unique situations when it comes time to file their tax returns. From keeping records to deciphering what it means to be an "exception" to a key tax rule, here's a round-up of tax-related issues that may affect those who write books. Book Writing: Hobby or Profession? The "hobbyist vs. for profit" distinction for authors matter greatly for tax reporting. Because the job of a book author is not necessarily "steady," there is an ebb and flow of income, some years might be more profitable than others — some years, not at all. In addition, with the proliferation of self-published authors — many of whom do see at least some income from their work — it becomes a bit confusing. Profitability is a key factor in how the Internal Revenue Service determines whether or not you can legitimately claim the costs of your writing as business expenses. If you don't already know for sure, it's important to be aware of how the IRS makes the distinction between whether you're a hobbyist writer or professional author. The profession of "freelance author" is a bit different than most others in the eyes of the U.S. government — at least as far as capitalizing expenses on a tax return concerned. The uniform capitalization rules require that most taxpayers match expenses with the income related to the expense during a tax year. However, since 1988 writers (and other artists, such as photographers) are exempted from this rule. That means, if you're working on a long-lived book project (such as the biography of a U.S. President), you are allowed to deduct the expenses related to that book (say, travel for research) in the year the expense is incurred rather than in the year you receive the income. Bookmarks, launch parties, Book Expo America (BEA) trade show attendance, membership fees for the Author's Guild — those are just a few of the business expenses a book author might incur. While you're gathering and organizing your receipts — or setting up your new-author organization system for the coming tax year — learn about some author-specific, typically deductible expenses, so you can remember to plan or and/or keep the appropriate records for them. Income taxes aren't the only taxes self-published authors need to worry about. If you're a self-published author and sometimes sell your own books, you'll likely need to be collecting and paying state sales tax. Disclaimer: This article is meant to give general insight into tax information that might apply to writers, and to give readers an entry point so they themselves can research further. While every effort was made to ensure the information in this article was accurate at the time it was written, the Book Publishing site guide is a writer — not a tax expert. Therefore, anyone filing his or her taxes should consult a qualified tax preparer or tax expert for updated federal and state income tax and sales tax laws and further specifics on how these rules might apply to an individual tax situation.